Specially made for Secrist preemies!� Includes cap. 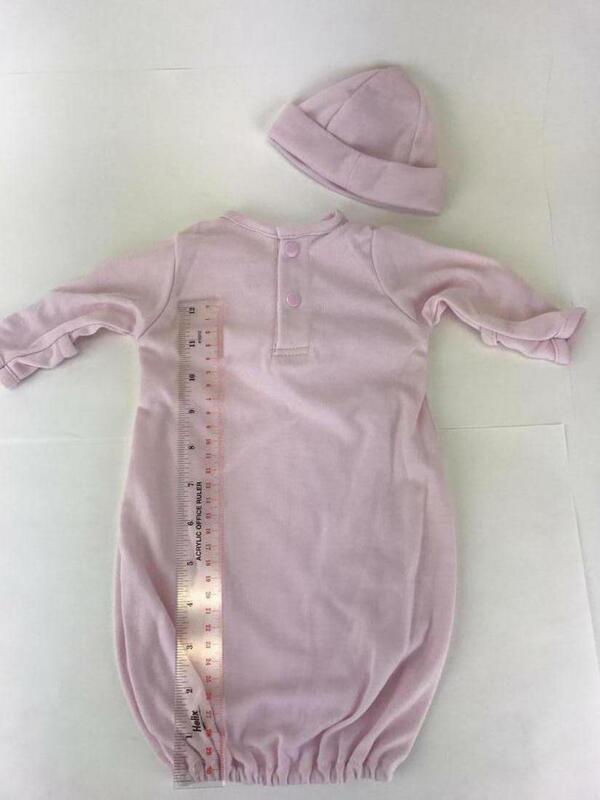 This adorable pink sleeper and hat set are specially made for Secrist babies sizes 17" to 19" in length. The sleeves even wrap around the baby's hands just like real baby clothing! Each set includes matching sleeper and hat.